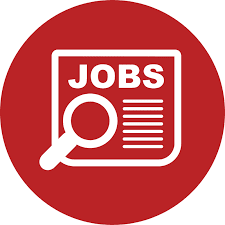 Home » TREANDING JOBS » Job Opportunities at USAID-Tanzania in Iringa, Njombe, Kilimanjaro, Tabora, Morogoro, Mbeya, Dar es Salaam, Dodoma, Singida, Mtwara, Shinyanga, Manyara, Arusha, and Lindi. Job Opportunities at USAID-Tanzania in Iringa, Njombe, Kilimanjaro, Tabora, Morogoro, Mbeya, Dar es Salaam, Dodoma, Singida, Mtwara, Shinyanga, Manyara, Arusha, and Lindi. URC is seeking an experienced candidate for Director of Monitoring, Evaluation, and Learning (DMEL) to lead all M&E activities for the anticipated USAID/Tanzania Comprehensive Community Cascade for Epidemic Control Among Key and Vulnerable Population (CCC-KVP). The overall goal of this project is to “support an integrated community platform of services for KVP to reduce new HIV infections and sustainably improve the quality of life for PLHIV.” The CCC-KVP project will focus on increasing demand for and use of HIV and gender-based violence prevention and family planning services for KVP and PLHIV, working with and through community-based stakeholders, sub-national Government of Tanzania authorities, health facilities, KVP, and PLHIV to reduce new HIV infections, improve the quality of life for PLHIV, and improve other reproductive health outcomes. Additionally, the CCC-KVP will further strengthen the capacity of local partners as they transition to receive and independently manage funds from the USG. The CCC-KVP project will implement activities in Iringa, Njombe, Kilimanjaro, Tabora, Morogoro, Mbeya, Dar es Salaam, Dodoma, Singida, Mtwara, Shinyanga, Manyara, Arusha, and Lindi. Demonstrated experience working in partnership with host governments, international donors, and implementing partners. URC is seeking an experienced Capacity Building Advisor (CBA) to lead organizational development and capacity strengthening of local partners as they transition to directly receive and manage USG funds for the anticipated USAID/Tanzania Comprehensive Community Cascade for Epidemic Control Among Key and Vulnerable Population (CCC-KVP). The overall goal of this project is to “support an integrated community platform of services for KVP to reduce new HIV infections and sustainably improve the quality of life for PLHIV.” The CCC-KVP project will focus on increasing demand for and use of HIV and gender-based violence prevention and family planning services for KVP and PLHIV, working with and through community-based stakeholders, sub-national Government of Tanzania authorities, health facilities, KVP, and PLHIV to reduce new HIV infections, improve the quality of life for PLHIV, and improve other reproductive health outcomes. Additionally, the CCC-KVP will further strengthen capacity of local partners as they transition to receive and independently manage funds from the USG. The CCC-KVP project will implement activities in Iringa, Njombe, Kilimanjaro, Tabora, Morogoro, Mbeya, Dar es Salaam, Dodoma, Singida, Mtwara, Shinyanga, Manyara, Arusha, and Lindi. English fluency is requiredPlease note: this position is contingent upon securing the award.